OLD PARKED CARS. 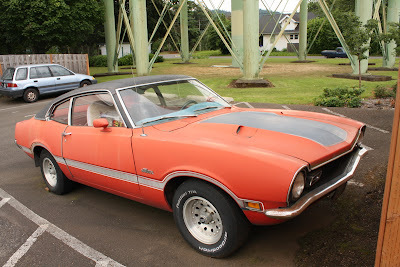 : 1972 Ford Maverick Grabber. I've had photos of this thing on my computer for years that I've never been happy with, yours are way better. What a relief! yeah, i was surprised when i found it, 'cause i know you're always in that neighborhood and have canvassed it thoroughly. then i made sure to check the previously posted mavericks, just in case. 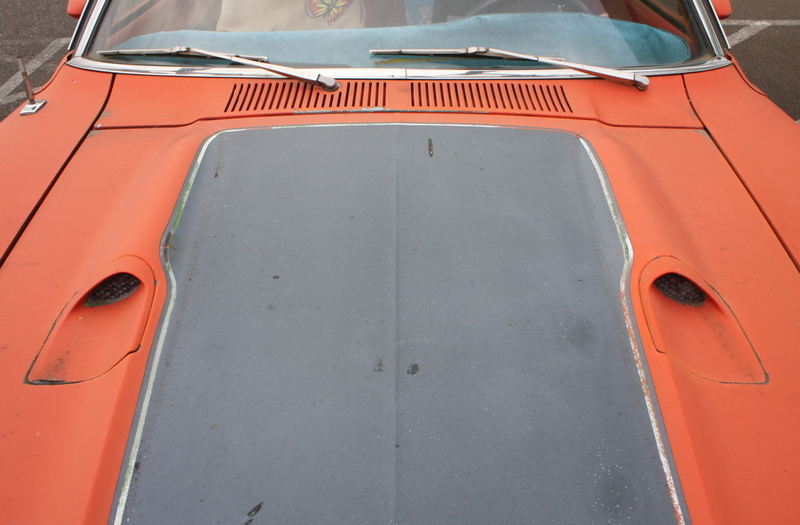 love the flat, oxidized orange paint, free of any pesky clearcoat. a pleasure to photograph. 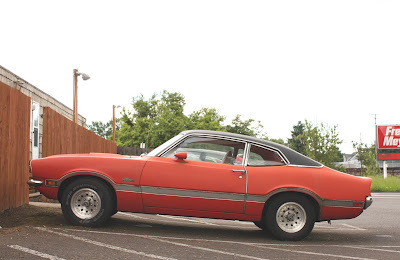 I love those hood scoops, they are so subtle and yet give it a little attitude. mini muscle at it's best. Loved the Maverick Grabbers. This is is nice because it has the smaller bumpers. The big clunky safety bumpers weren't mandatory on Mavericks until 1973. Excellent color combo as well. This is probably my favorite Ford ever (US Ford anyhow). It is almost identical in appearance to the Aussie XB Falcon of the same time period. 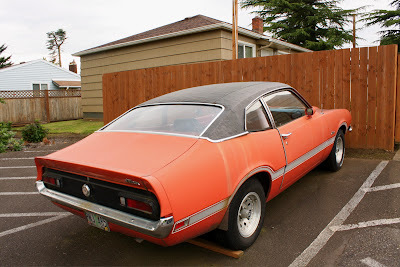 That rear angled glass, the front end with round lights, so very, very close to being a perfect American Mad Max Interceptor. Love it. Needs slotmags. 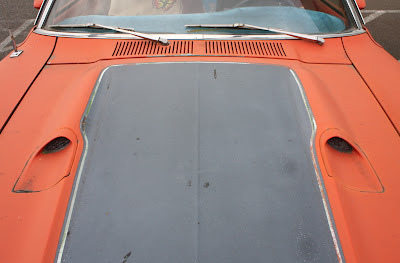 Hell, what car from the 70's DOESN'T need slotmags?